A POLICE CHIEF in the states made a little girl’s Christmas by learning sign language so he could talk to her even though she is deaf. Massachusetts cop Salvatore Albert secretly took lessons from six-year-old Sadie Adams’ mother so he could not only understand the little girl, but also talk back to her. Little Sadie was blown away when Santa asked her what she would like for Christmas, and her wish of ‘a kitchen and a baby’. Sadie’s mother told SBS it was well worth the effort. She literally stopped dead in her tracks and she just stared at him. I felt like I was going to tear up also. Delivering presents all over the world in one night, growing that epic beard, and now sign language? What a skill set. 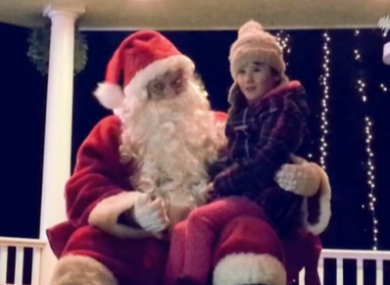 Email “Town's Santa learns sign language so he can speak to little girl who is deaf”. Feedback on “Town's Santa learns sign language so he can speak to little girl who is deaf”.